This is the story of how two music journalists managed to track him down in deepest, poverty-stricken Detroit, even though he was believed to have committed suicide on stage a long time ago. After a life spent in obscurity doing manual labor, he was invited to South Africa where he performed several concerts to thousands of adoring fans. 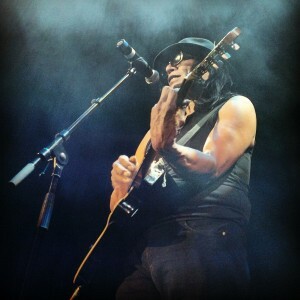 via Searching for Sugar Man, Secret Screenings, Troxy, Wednesday 4th July 2012.